"Presents an excellent dilemma for the main character, Jemma. The reader is right there with her wondering what the best decision is. Impossible is legitimate and believable. The reader will turn the pages to find out what Jemma decides to do in the end." "An interesting and fast paced story. Recommended." 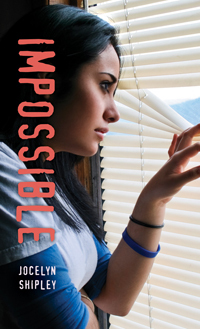 "Impossible is a short novel with high interest and low vocabulary, perfect for reluctant readers in either a literature circle setting or as an independent read. It's compelling characters and linear plot will work well in middle school classrooms and libraries. The reader will empathize with Jemma, maybe even wonder what they would do faced with the same situation. But overall, Jemma has courage, strength and the maturity to realize that every action will have a consequence, and that one must face that consequence no matter what."